The aisles of the exhibition floors in the Antwerp Diamond Bourse and the Diamond Club of Antwerp were thronging with visiting retail jewellers and others visitors on the second day of the 2011 Antwerp Diamond Trade Fair. 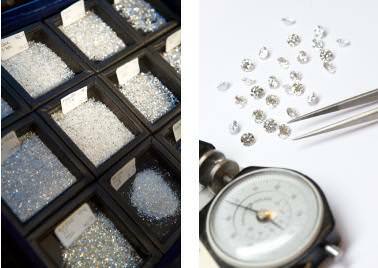 Buyers, exhibitors and visitors said the event provided a comprehensive view of the diamonds available from the Antwerp diamond industry. "It is a great opportunity to meet such a diverse group of Antwerp diamond companies, who offer an unprecedented range and choice of diamonds, in shapes, sizes, and qualities," said Detlef Kempkens, a prominent jewellery retailer from Krefeld, Germany. "Compared to last year’s show, there are more companies exhibiting. With an additional 20 companies exhibiting on the floor of the Club, the mix of goods on sale is not only attractive, but also right on target for retailer jewellers who need to increase and broaden their sourcing base for polished diamonds," Kempkens stated. Karen Forsyth, from Inverness, Scotland, the owner of a high-end diamond jewellery enterprise who has built a successful niche business by selling fine diamond jewellery online, said the show was beyond her expectations. "I invariably sell gem quality diamonds with diamond grading reports. The choice of diamonds on offer here, accompanied by reports from the world’s leading gem labs is superb. I have made excellent contacts for future business opportunities here in Antwerp. I really loved this fair!" she said. 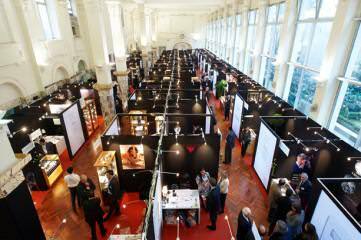 Raphael Rubin, a member of the fair’s organizing committee, said that the second edition of the Antwerp Diamond Trade Fair offered solid proof that the concept of the fair — a by invitation-only show, aimed at an exclusive group of retail jewellers, held in the heart of the diamond district- was proving successful. "Clearly, our fair is now a fixture on the annual trade show calendar. Its success indicates that Antwerp is literally able to deliver the goods, in all aspects. Therefore, Antwerp’s prestige and fame will continue to rise, in particular among those retailers who until recently had no clear idea of the comprehensive diamond services our diamond community can offer."